Red-green colorblindness seems to make it harder for a hunter-gatherer to see whether a fruit is ripe and thus worth picking. Is there a reason why selection hasn't completely removed red-green color blindness? Are there circumstances where this trait provides an evolutionary benefit? 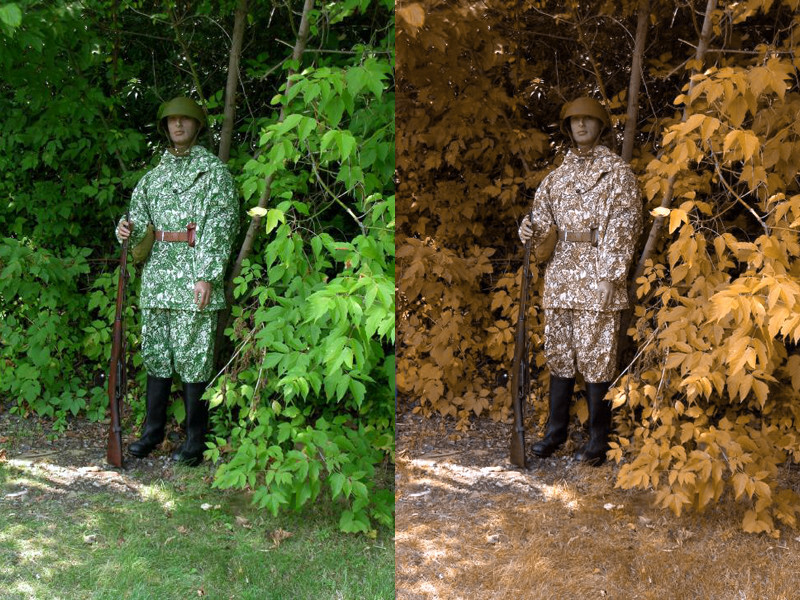 Color-blind subjects are better at detecting color-camouflaged objects. This may give color blinds an advantage in terms of spotting hidden dangers (predators) or finding camouflaged foods. There are two types of red-green blindness: protanopia (red-blind) and deuteranopia (green-blind), i.e., these people miss one type of cone, namely the (red L cone or the green M cone). These conditions should be set apart from the condition where there are mutations in the L cones shifting their sensitivity to the green cone spectrum (deuteranomaly) or vice versa (protanomaly). There are reports on the benefits of being red-green color blind under certain specific conditions. For example, Morgan et al. (1992) report that the identification of a target area with a different texture or orientation pattern was performed better by dichromats when the surfaces were painted with irrelevant colors. In other words, when color is simply a distractor and confuses the subject to focus on the task (i.e., texture or orientation discrimination), the lack of red-green color vision can actually be beneficial. This in turn could be interpreted as dichromatic vision being beneficial over trichromatic vision to detect color-camouflaged objects. Reports on improved foraging of dichromats under low-lighting are debated, but cannot be excluded. The better camouflage-breaking performance of dichromats is, however, an established phenomenon (Cain et al., 2010). However, I think the dichromat trait is simply not selected against strongly and this would explain its existence more easily than finding reasons it would be selected for (Morgan et al., 1992). There seems to be some evolutionary advantages to red-green colorblindness. The paper in reference 1 (a summary can be found in reference 2) shows that people with red-green color blindness can differentiate between much more shades of khaki than unaffected people. This might help detecting camouflaged food in a green environment. For example, it may have helped them spot potential food items in complicated environments such as grass or foliage, he suggests. This fits with the observation that in a number of new world monkeys dichromatic and trichromatic animals are present in the populations. They found that the dichromatic monkeys have advantages in low light conditions. Not the answer you're looking for? Browse other questions tagged evolution vision neurophysiology or ask your own question. What is the evolutionary advantage of having pubic hair? What is the evolutionary advantage to a lifespan limit?